A webinar hosted by CoreLogic, available to the public here, discusses the housing situation in California in light of recent wildfires. The webinar, entitled “California Wildfires: A Way Forward,” explores at length the Carr and Mendocino Complex Fires from 2017, the damage the fires caused to more than 10,000 structures. The webinar looks back as well as forward, considering next steps in reconstruction after what has occurred and increasing resilience to future fires. Maiclaire Bolton-Smith, a Sr. Leader for Research and Content at CoreLogic, hosted the webinar. She touched on the catastrophe in Mendocino County before detailing the worst of the 2017 wildfires, especially the extent of damage in Tubbs County. 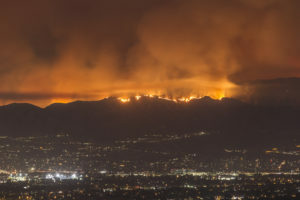 Howard Kunst, a Principal and Chief Actuary of Science and Analytics at CoreLogic, gave a statistical perspective on the fires, showing how even though the amount of acreage destroyed in fires has increased in relation to the number of overall fires started. Whereas the five-year average between 2012 and 2016 was 8,363 fires with 691,299 acres destroyed, in 2017 a total of 9,560 fires caused more than 1.2 million acres worth of damage. Kunst suggests that models have obtained a high enough degree of accuracy regulations based on their predictions will be more commonly enacted. One of these is the requirement going into effect July 2019 that mandates insurance companies discuss the likelihood of fires to customers with residential properties, as well as various strategies and costs of reconstruction. Guy Kopperud, a Principal of Industry Solutions with CoreLogic, focused his discussion on reconstruction and valuation. Kopperud dilated on how the heated market in California continues to interfere with reconstruction efforts, and how the surge in California housing demand affects contractors and builders in the state. 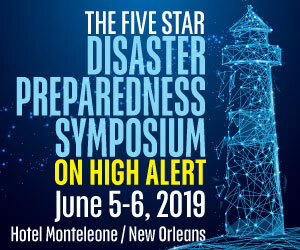 Rodney Griffin, Sr. Leader of Product Management and Services, spoke about resilience to future fires and strategies for minimizing damage in future disasters. These include fire-resistance ratings for construction being promoted as well as construction with fire-resistant materials. Griffin indicates that the costs of building with resilient materials can be justified by the bottom line and reduction in loss potential. Lastly, Tom Larson, a Principal in Industry Solutions closes with a focus on managing wildfire risk in the future, in the process highlighting how fires in 2017 challenged current zonation, and how different models for zoning could help manage risk. Larson shows how if one also accounts for infrequent high winds and the latest fuel and topography models, risks can be minimized. Considering that more than 1.7 million homes, or 13 percent of the total 13.6 million California homes, remain at risk today.